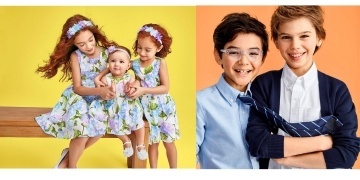 There's a brand-new sale happening at Carter's Canada – but it's on for one day only. Today is Super Saturday, and that means you can score some HUGE deals! And today's sale seems perfectly timed with the rain we're getting because they're giving us 40% off spring outerwear and rain boots. I've gotta say, the rain jackets are adorable. I'm thinking of getting this Fleece-Lined Dinosaur Rain Jacket and the matching Dinosaur Print Rain Boots for my toddler. Oh, and don't forget a pair of the OshKosh B'gosh Splash Pants! Make sure you shop today because tomorrow these deals will be gone. 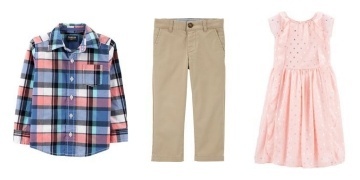 If your kiddos happen to need any jeans or fleece, those are up to 50% off. You can see more about that here.